a little more dialogue and a little less drab. It is a good movie if you’re into the austere. opportunity to be Mikael. We get to see Mikael assimilating, coming into his own as an adolescent male. this movie…and yet, I’m still unclear as to whether I like it or not. adjusted movie about a well-adjusted transgender child. I should be happy, right? Well…it is an interesting movie. 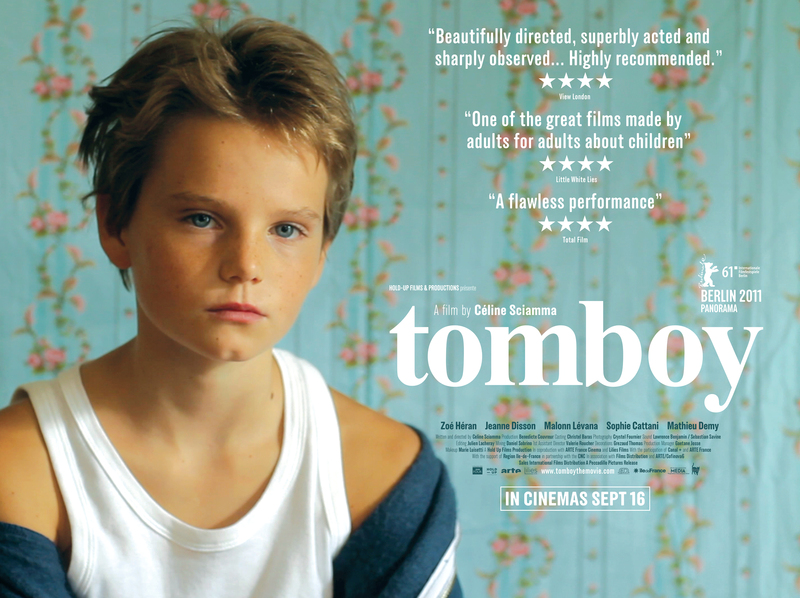 Tomboy is definitely not a fun date movie but worth a look. I really liked this movie. I was touched by the tenderness of Mikael’s sister, I smiled nervously at the awkwardness of a little boy who was biologically a little girl trying to pee in the woods like the other boys and my heart filled with joy whenever Mikael was his true self, whether he was playing or just being with someone who saw him as Mikael and not Laure. I thought it was beautiful.